BU said that 111 Wheelock employees — 72 staff and 39 full-time and part-time faculty —will lose their jobs when the merger becomes official after June 1. “This is a very difficult and painful part of the merger,” Diane Tucker, BU’s vice president of human resources, said in a prepared statement. BU is keeping Wheelock workers whose jobs don’t overlap with the university’s existing operations, she said. Wheelock staff have been concerned about the implications of the school’s merger with the much larger BU, which has 33,000 undergraduate and graduate students, compared with 1,000 Wheelock students, since it was announced in October. But Wheelock officials have said that the merger was necessary for the 130-year-old institution that has struggled financially in recent years. 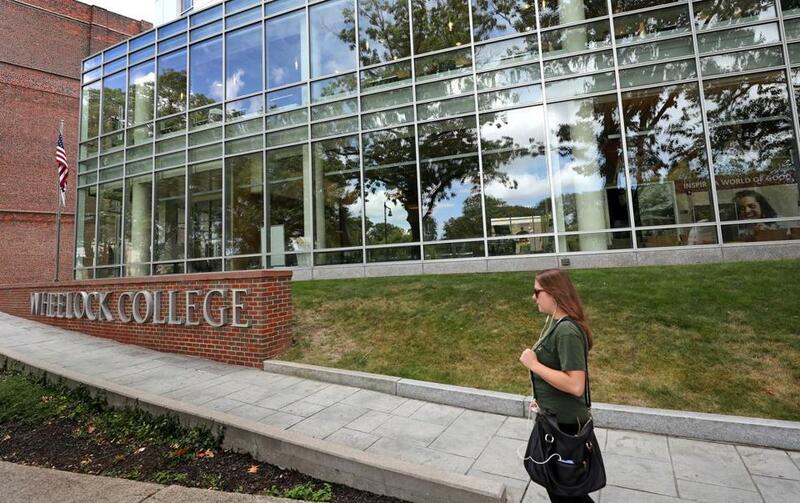 Many other small colleges across the country are facing similar challenges, with shrinking enrollment and limited finances. BU has said that the merger will allow it to bolster its education training programs by combining Wheelock with BU’s School of Education. The new program will be called Boston University’s Wheelock College of Education and Human Development. Wheelock is not only bringing a nationally accredited education program to the merger, but also prime real-estate along the Riverway in the Fenway neighborhood. Wheelock owns more than 5½ acres, including dorms and academic buildings, assessed at nearly $70 million, according to city property records. The actual market value of the property is difficult to estimate, real estate analysts have said, but developers have been busy remaking those neighborhoods in recent years. Boston University, which has been active in the real estate market around its campus, has not said what it plans to do with Wheelock’s property, but it has retained the smaller school’s entire facilities staff to help maintain the grounds. BU said that laid-off faculty and staff would receive severance packages, but did not provide details. For much of its history, Wheelock has been focused on educating students in teaching and social work. Many of those enrolled in Wheelock are also students of color. Some Wheelock faculty have worried that the social justice mission of the college, which has been focused on improving the lives of children and families, would be lost in the merger. “The loss of a college with a powerful public mission is heartbreaking,” said Mary Battenfeld, who has taught at Wheelock for 24 years. Battenfeld has tenure and has been offered a job at BU. Nonetheless, Wheelock’s unwinding has already begun, with employees finding positions elsewhere. And students are making decisions about whether to continue their studies at BU or to transfer elsewhere. Students have until April 1 to notify BU of their plans to attend. Irwin Nesoff, who has taught at Wheelock for 10 years, said BU is not taking his graduate program on nonprofit leadership, since it offers something similar. Greg Cass, who graduated from Wheelock in 2005 and then returned to teach writing classes there 2009, found out Thursday that he had been laid off. The news was expected, but still disappointing, said Cass, who has been offered a full-time position at another institution.